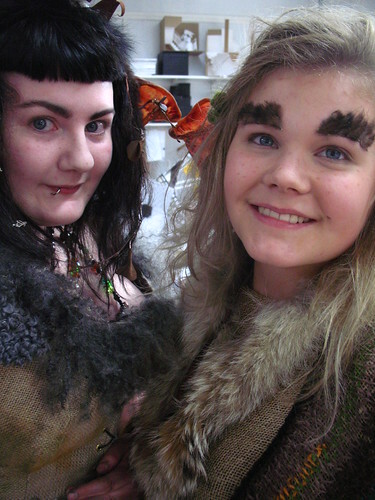 The last theme party before summer had the theme “fairy tales” a whole bunch of people decided to be trolls! 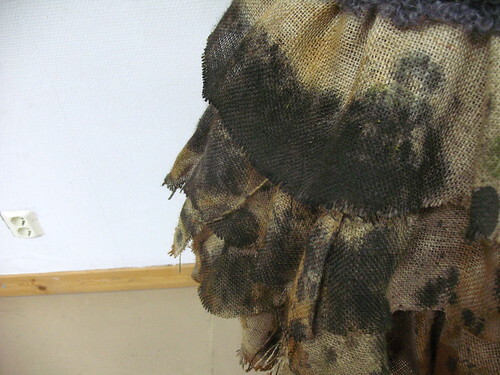 Since we are Swedish our trolls were the John Bauer kind of trolls. 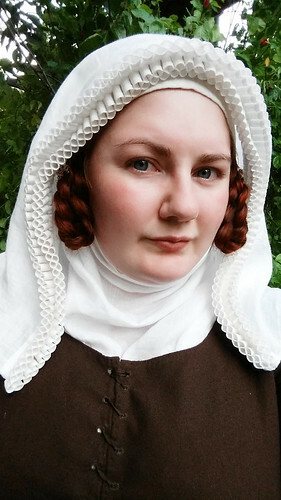 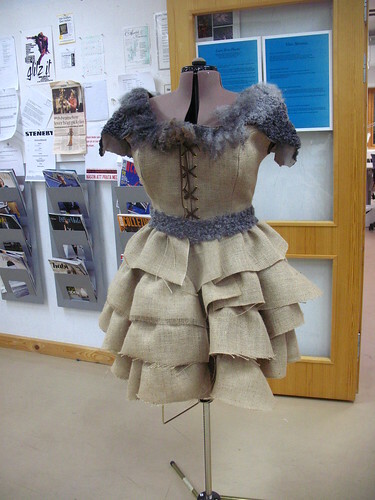 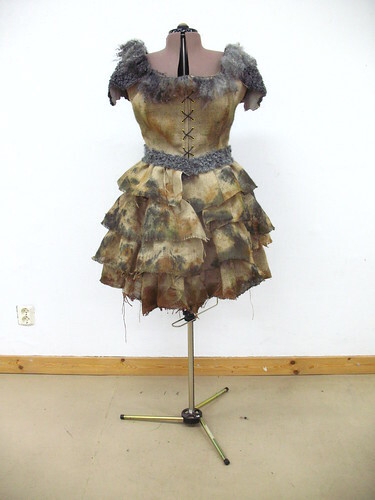 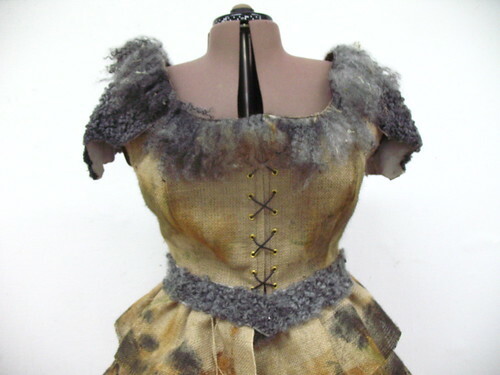 The outfit is made out of burlap (lined in cotton for comfort) and Swedish Gotland sheepskin (it is really different from what most of the worlds sheep, it is shiny, curly and pretty) it opens in front with lacing in the top and the skirt part closes by the skirt overlapping in the front. 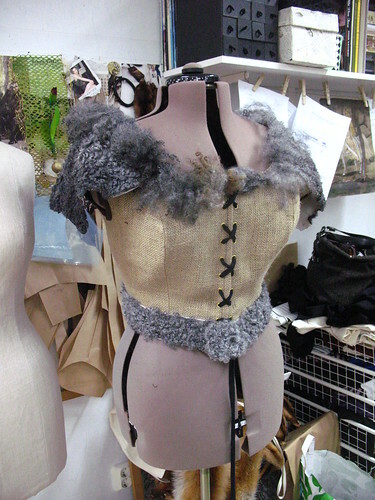 When the sewing was finished it looked all shiny and new. 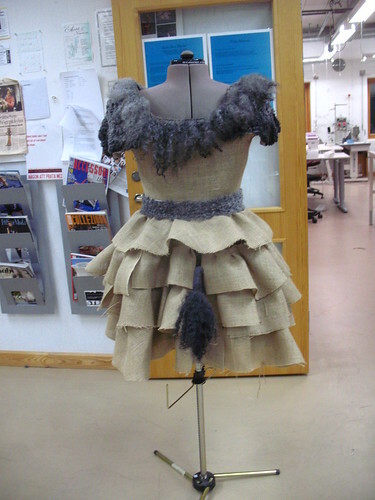 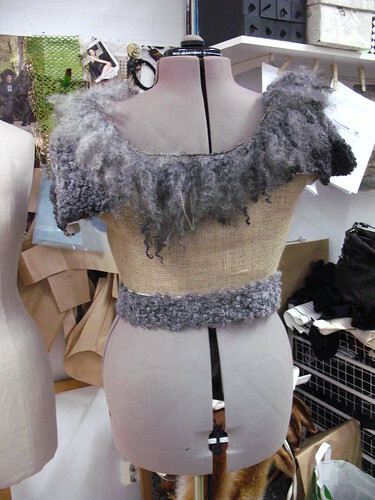 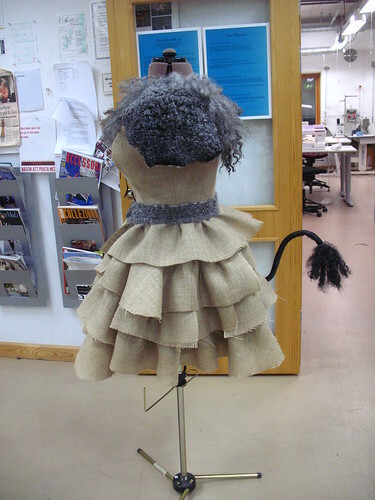 Here you can see the tail that I also made, wire covered in foam and then covered in shaved sheepskin. 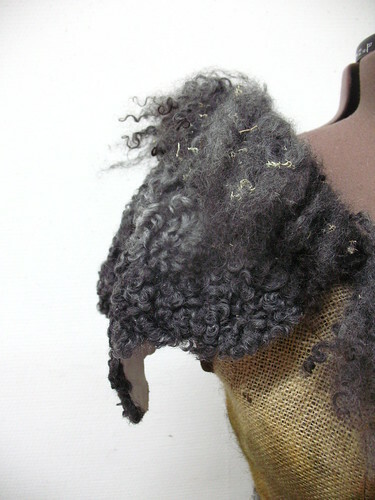 Then on the end I put a piece of long haired sheepskin. 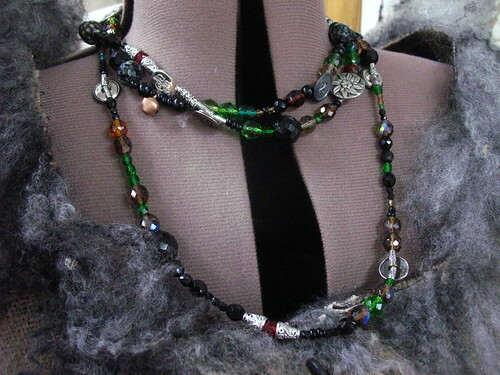 I made a necklace, a bit of “found in caves and stolen from humans”. 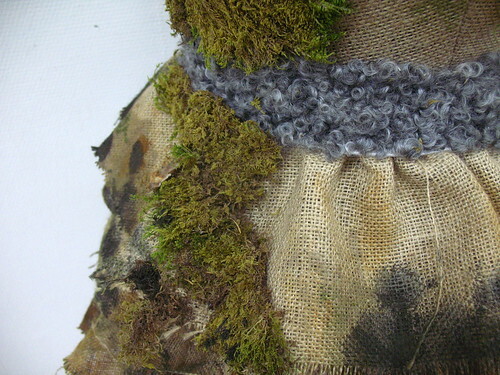 Since trolls live in the woods I needed to make it a bit more dirty, leather colour and real dirt. 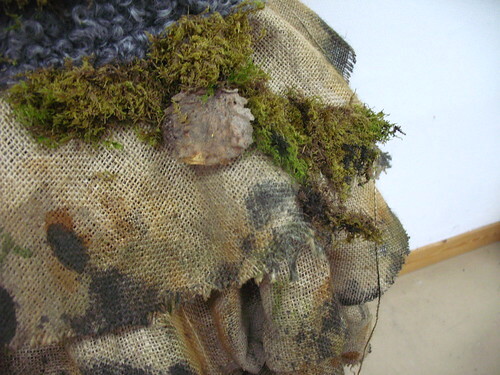 Some moss in the sheepskin. 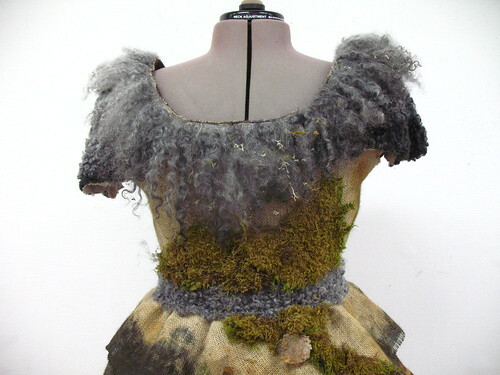 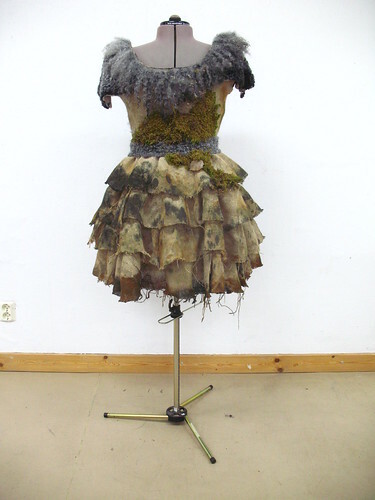 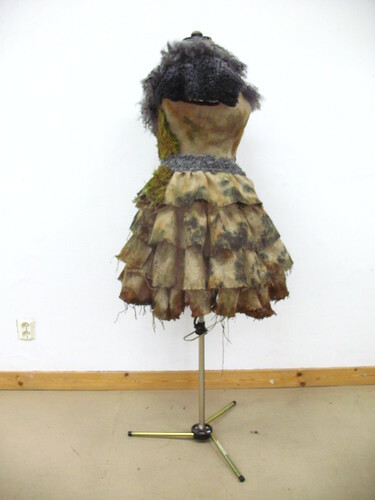 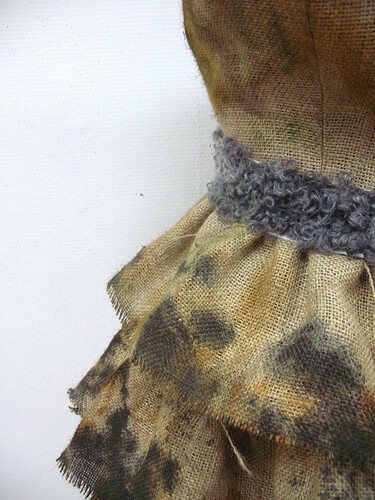 And some hot glued moss on the dress to, like I have been living in the forest so long that moss have started to grow on me. 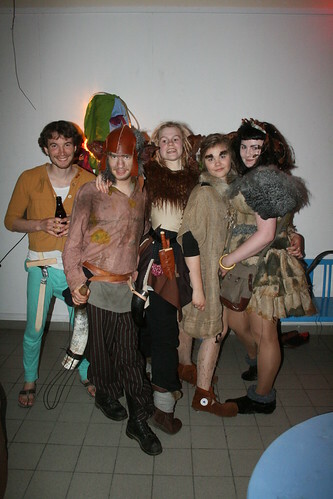 The whole gang, with some random prince sneaking into the picture.